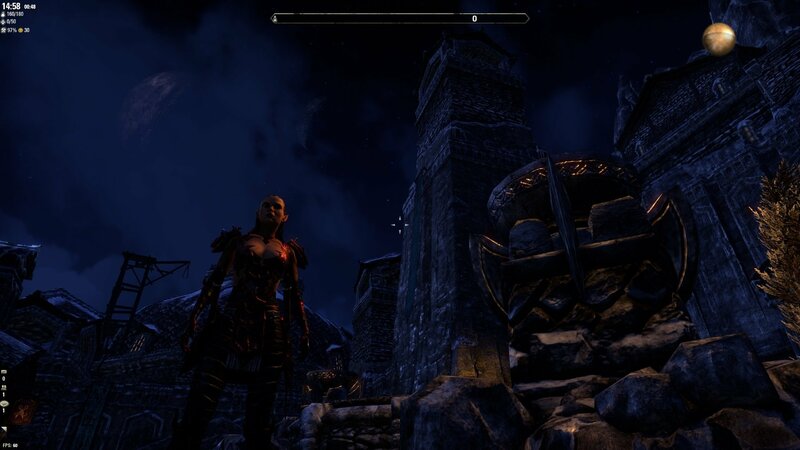 It makes in-game nights much darker. The effect is adjustable for new moon and full moon nights. There is a slash command /togglenight and a key-bind to include or exclude a zone from been affected. The exception list is limited. There are a lot tunnels and houses, which should be excluded, but can't because they have not an own (sub-)zone. You may have to adjust a lot zones entering the first time. But it is account-wide. Dungeons are excluded by default, but can be included again. The gamma should reset to normal on logout and exit. But if you crash, the logon screen may be darken aswell. - Fixed missing LibStub manifest.txt. 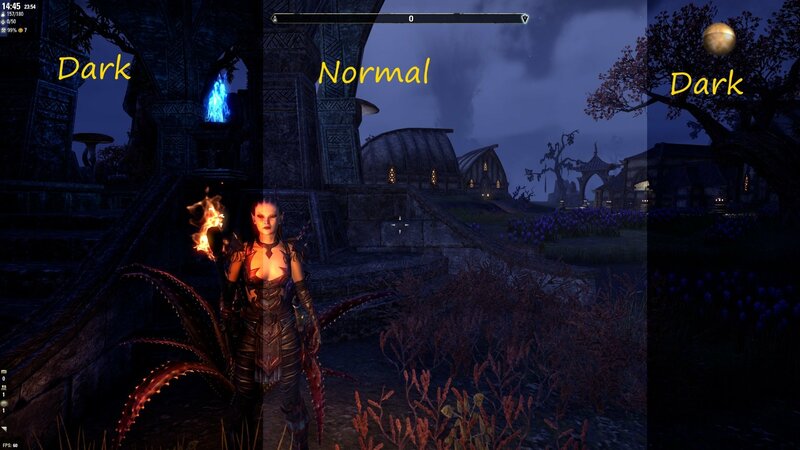 - New option to adjust the daylight/night transition curve. - Reset gamma on quitting directly, too. Addon Does Not Work Anymore? I loved this addon but now I'm having trouble with it. Whenever I log on and go to my addon list in-game both the 'Votan's Addon List' and 'Votan's Darker Nights' has "Dependency" written right next to them. For the live of me I can't figure out what other addon they need to work since they don't actually tell you when you click on them. I saw on the addon page that the latest release has something to do with 'Harven's Addon Settings', but even if you install this addon it still does not make your addon work. In fact if it is installed then even that addon gets the "Dependency" message next to it. I decided to install a previous version of the addon so I could just bypass this mess I recently ran into, but found that previous versions have the same issue. Re: Re: Toggle key-bind no longer working? Can not confirm. The toggle function is called by key-bind. 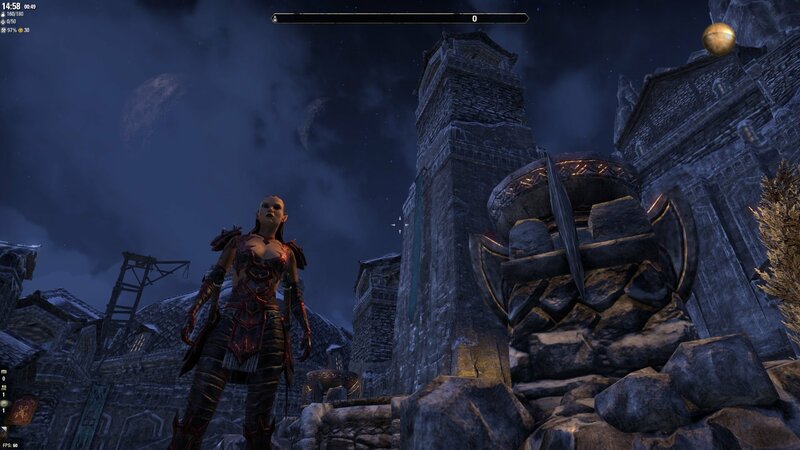 But I can't test: It is afternoon in Tamriel. Does the slash command work? Seems to be working now. I think it was near noon at the time, but usually if you just drag the noon slider to extreme high or low, you can still see a pronounced change as you toggle DN on and off. Anyway, if I really did have an issue, it has worked itself out. Thank you for making one of my favorite add-ons. It's truly amazing that having separate day & night sliders isn't part of every game ever made. Re: Toggle key-bind no longer working? It seems that the Darker Nights toggle (key-bind) has stopped working. I've tried un-binding and re-binding it, and setting the sliders to wacky values to be certain when it toggles on/off. I haven't installed any new add-ons since the last time I'm sure it worked, but I did just update a handful of add-ons. Anyone else see this? Toggle key-bind no longer working? This add-on is amazing. Finally, some realistic night lighting. Thanks! It's not perfect, but I love it. The ability to adjust night and day gamma separately is brilliant. I can't believe I haven't seen that before. It's too the API doesn't correctly/consistently indicate indoors vs outdoors. If not for that, a separate indoors-only slider (thinking housing/inns) would be lovely. A suggestion that might be possible with current tech: an additional S-curve slider that would adjust the compression of dawn and dusk, effectively adjusting the duration of full daylight and full night. Thank You. Yeah, I know. There is no API at all. All the addon knows is whether or not to be in a (window-less) dungeon. No info about indoor/outdoor. Even assuming using a door switches from indoor to outdoor or vice versa is not always true. Yes, adjusting the brightness curve width should be possible. Was curious, always loved the nice dark nights, make lights warmer, feeling more cozy. Tried it, love it. It's just fantastic how little things can change the whole game so much. Thanks for this add-on. Can you add a chat notification or middle of the screen text notification that I enabled darker nights with the hotkey? Last edited by syzgod : 08/19/17 at 06:25 PM. Votan this addon is very good! Please Votan could you add string file to allow us translate 3 lil' sentences? Last edited by lexo1000 : 08/19/17 at 03:13 AM. Thanks for this. I've always hated how bright nights were. Thanks to both you and @Jeremiah. Excellent idea, this remind me the time on skyrim ^^ ... so much nostalgy. The idea is from @Jeremiah. Request: Darker Nights - Progressive gamma adjustments from dusk til dawn. So, thanks to @Jeremiah.